Mr. Alfred Godwin Adjabeng, Founder and Executive Director of Reach Out to Future Leaders Movement (ROFLM) and Ms. 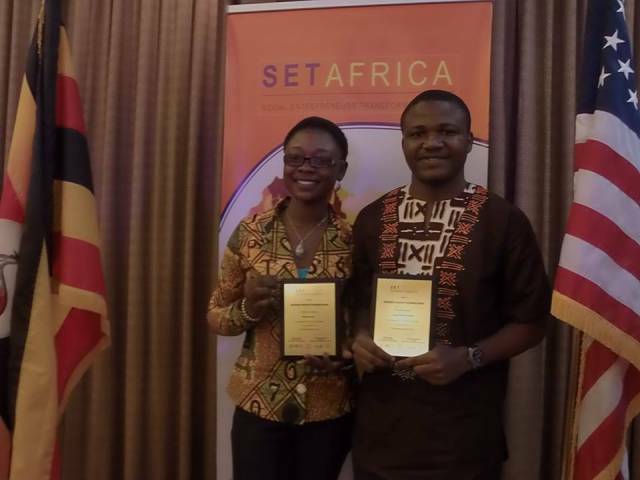 Win Selby, Co-founder of Ghana Bamboo Bikes represented Ghana at SETAfrica Fellowship and Innovation Award. They are among 23 young social entrepreneurs who have been picked from 15 Anglophone African countries to undergo leadership training in running social ventures. They received Innovation award and financial support to scale up their projects for their contribution to social entrepreneurship in Africa.